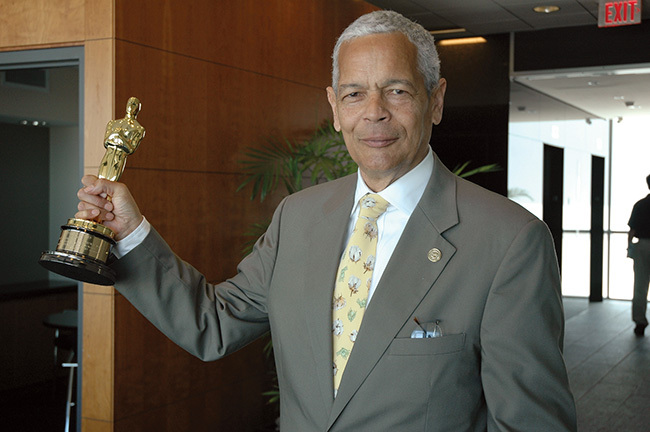 MONTGOMERY, Ala. – Just blocks from where slaves were once auctioned and near the spot where Rosa Parks started her ride into civil rights history, Julian Bond stood to address a crowd of 6,000 who had gathered to dedicate a memorial to those who died during the struggle for equality. It was Nov. 5, 1989 – nearly a quarter century after the Voting Rights Act was enacted. Bond knew the job wasn’t finished. That collective cause – the continuing march for justice – was the driving force behind Bond’s journey from a charismatic, young civil rights activist to one of the nation’s most beloved statesmen. It was the same cause that led him to become the SPLC’s first president, a post he held from 1971 to 1979 before spending the rest of his life as a board member. When Bond died on Aug. 15 at age 75, not only did the nation lose a civil rights legend, the SPLC lost a great friend and inspirational colleague. In the days after Bond’s passing, tributes poured in from political and civil rights leaders who mourned the death of one of the most iconic figures of the movement, a man who went on to become a teacher, author, poet and longtime chair of the NAACP. The SPLC’s relationship with Bond began in 1971, when Dees asked him to be the fledgling organization’s president. Both men recognized the need to ensure that the promise of new civil rights laws would become a reality – because change was coming slowly to the heart of Dixie. “We needed lawyers who would file the cases that would implement these laws,” Bond said in 2012. “Back then, most lawyers were reluctant to take on civil rights cases." Morris’ proposal for the SPLC promised a way to provide desperately needed civil rights attorneys. During the early years, the SPLC focused heavily on demolishing remnants of Jim Crow. Its cases integrated bastions of white supremacy such as Alabama’s state trooper force and legislature. At the same time, the SPLC challenged numerous discriminatory policies, such as the forced sterilization of thousands of black teenage girls and the placement of homeless black children in detention facilities. Bond knew the fight for justice could be difficult. After his election to the Georgia House of Representatives in 1965, white legislators refused to seat him. He was accused of disloyalty for opposing the Vietnam War. It took a U.S. Supreme Court decision in 1966 for Bond to be seated. Bond also was the narrator for the SPLC’s Oscar®-winning documentary A Time for Justice, as well as the Academy Award-nominated Shadow of Hate. But Bond’s sense of history did not blind him to the inequities of the present. He remained a voice for justice for all, speaking out eloquently for LGBT rights in recent years. In Bond’s last hours, he continued to touch the lives of those around him. The tribute that may best sum up his legacy came from a nurse who treated him just before his death. “She said, ‘As a gay American, I thought he was a hero,’” said Bond’s wife, Pamela Horowitz, a former SPLC attorney. Born to librarian Julia Agnes and university president Horace Mann Bond in Nashville, Tennessee. Enters Morehouse College in Atlanta. 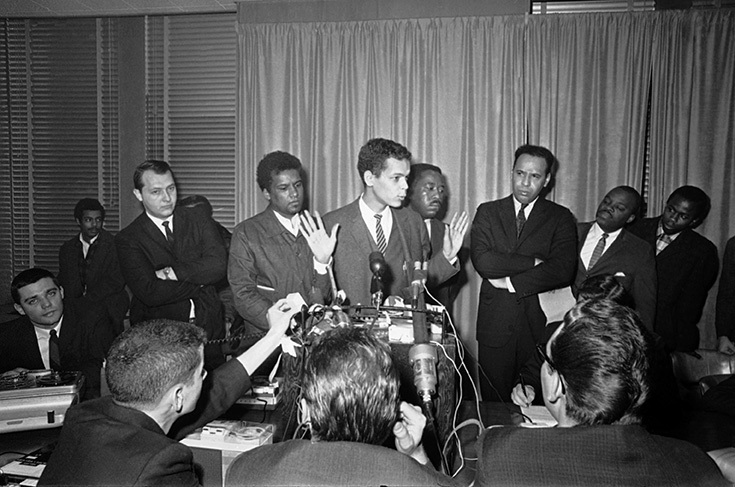 Helps form the Student Nonviolent Coordinating Committee (SNCC) at Morehouse College. Serves as communications director of SNCC, leading student protests against segregated public facilities and Jim Crow laws in the Deep South. Elected to the Georgia House of Representatives by a vote count of 2,320 to 487. Georgia House votes 184-12 not to seat Bond because he publicly opposes the Vietnam War. The U.S. Supreme Court rules 9–0 in the case of Bond v. Floyd that the Georgia House of Representatives had denied Bond his freedom of speech and was required to seat him. Is sworn in and takes his seat in the Georgia House of Representatives where he organizes the Georgia Legislative Black Caucus and serves until 1974. Nominated for vice president at the Democratic National Convention. He declines the nomination because, at 28, he is seven years shy of the age requirement. Returns to Morehouse College to earn a degree in English. He is eventually awarded 21 honorary degrees from various colleges and universities. Serves as president of the Southern Poverty Law Center. Bond remains involved in the SPLC and serves on its board of directors until his death. 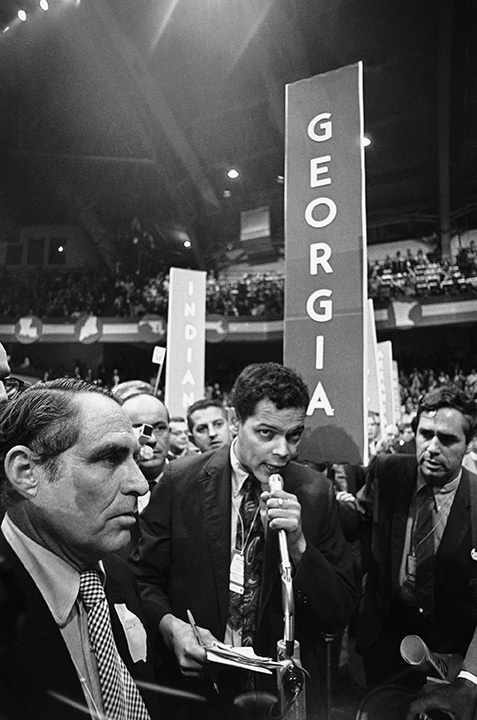 Elected for six terms to the Georgia Senate. He retires to run for Congress, but loses the election to John Lewis. Serves as president of the Atlanta chapter of the NAACP. Is a popular history professor at the University of Virginia, making civil rights accessible to his students. Serves as national chair of the NAACP. Accepts the National Freedom Award from the National Civil Rights Museum. 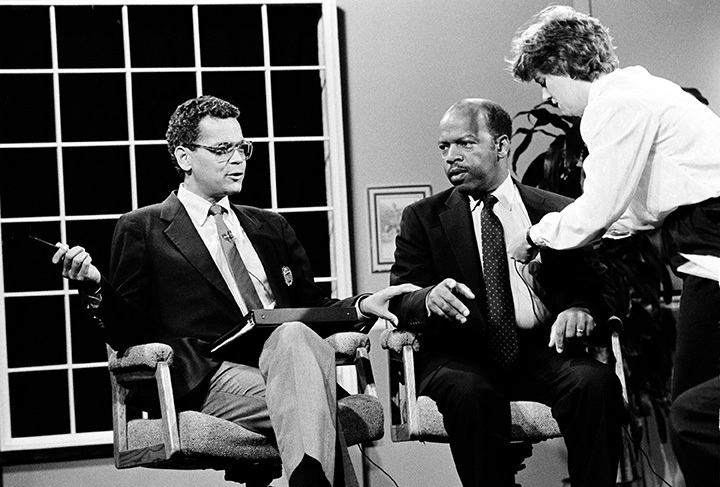 Julian Bond dies at the age of 75.